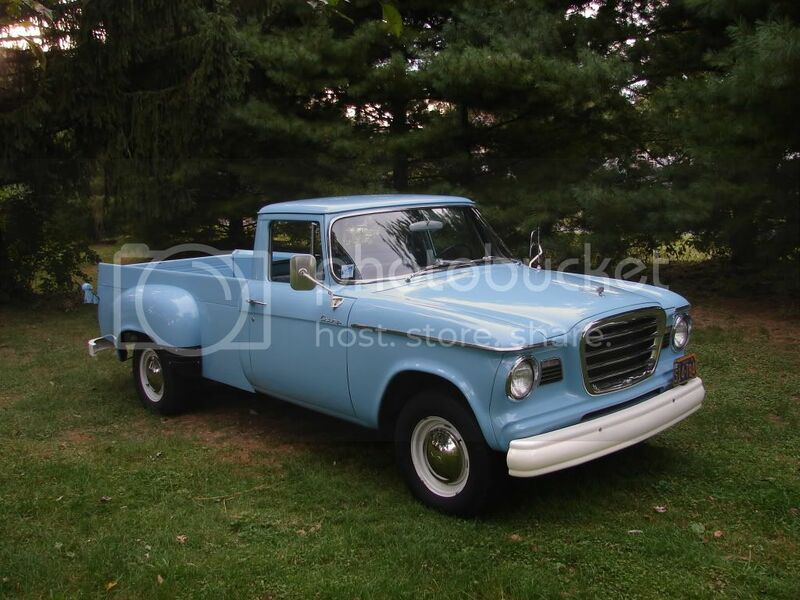 My 1962 half ton pickup was assembled in South Bend on September 28, 1961, early in the 7E model year. It was equipped with the T6 designation (deluxe items such as padded dash, sliding back glass, chrome grill, etc.). While the wide P2 box had become standard in 1961, the older P1 narrow box was still available in 1962 and that is what this truck was equipped with. 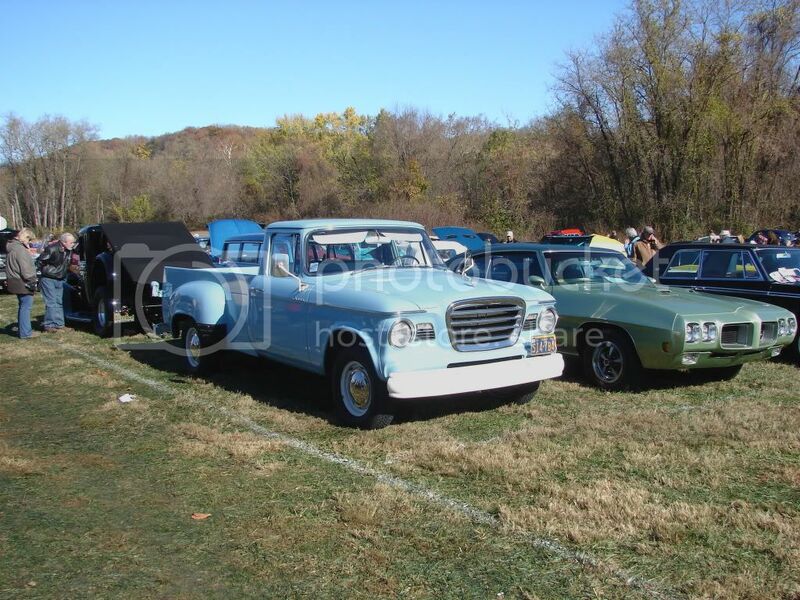 The truck was painted Reef Blue and powered by a 259 V8. The only items listed on the production order were five 6.70X15 four ply tires, a 4.09 ratio rear end, and overdrive transmission. 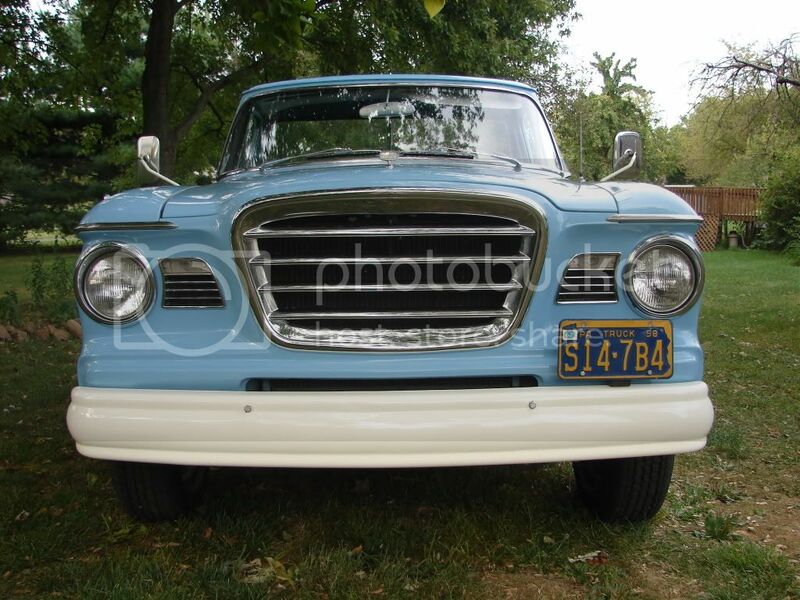 The truck was listed to be shipped to the Beach Studebaker dealership in Temple, Texas. The dealership installed a climitizer and radio before the truck was sold - probably in the fall of 1961. Interior photo shows radio, climitizer, and lighter - all added after truck was built at the factory. 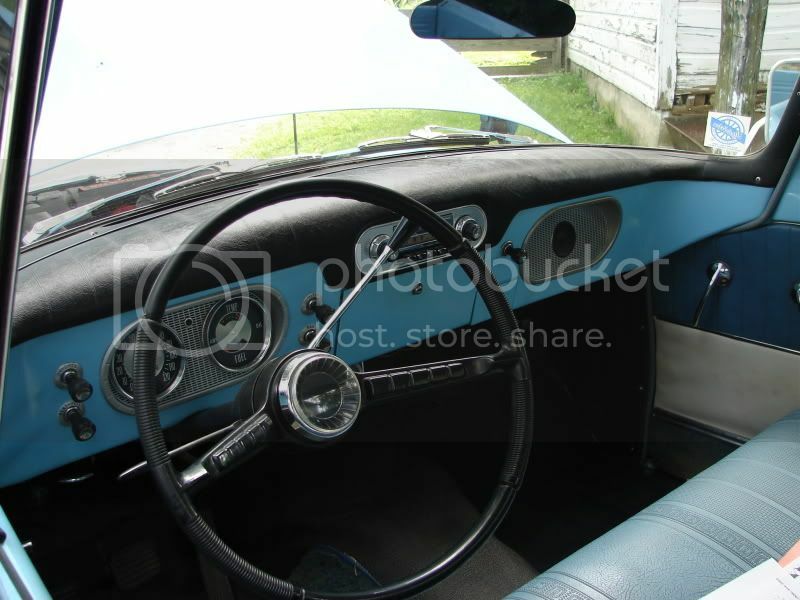 This photo also shows the original padded dash. Truck also still has its original headliner. This Champ became known to my father and uncle (of Milam County, Texas) in the mid-60s when it was purchased by a mutual friend who farmed a large farm in the area. Sometime in the early 1970s, the old 259 was getting a little loose so my father and uncle helped the owner rebuild a full flow 289 out of a 1963 car and in the process installed an R1 camshaft. The truck was used as a farm truck, and three teens learned to drive it, until it was in an accident in the mid-1980s. On a small farm road, the truck was side-swiped, denting the driver side door and pushing in the rear fender. The truck was pushed into a deep ditch denting the passenger side as well. The truck was parked until the decision was made to sell the truck in 1992 and it was parked along the main highway in Rogers, Texas. Highway 36 was a major route through the area and many Studebaker Drivers Club members stopped and looked at the truck. No one was interested because of the damage and amount of work required to get the truck back into shape. After almost a year of sitting, my uncle Denson decided it was a truck he knew was in good shape, despite its appearance, so a deal was made and ownership was transferred. There was little needed to get the motor up and running again. It ran well enough that nothing internal needed to be done other than the basic tune up. The brakes and master cylinder were all bad and had to be replaced. My uncle Denson was a self-taught body man and started working the truck over to get it back into shape. The only body panel replaced was the driver's door because of rust out at the bottom. Despite the rear fender being pushed in far enough to blow out the back tire, he did not take it off to beat-out the dents because he did not want it to be distorted to the point where it would not fit back onto the side of the truck's bed. All the body work and primer work was done in a small shed and under a large tree in the yard. Not having a facility to paint in, he arranged for a friend to paint the truck on a Saturday morning at a local body shop that would be closed at the time. I helped out that morning as part of the deal was that we would tape everything off before painting began. 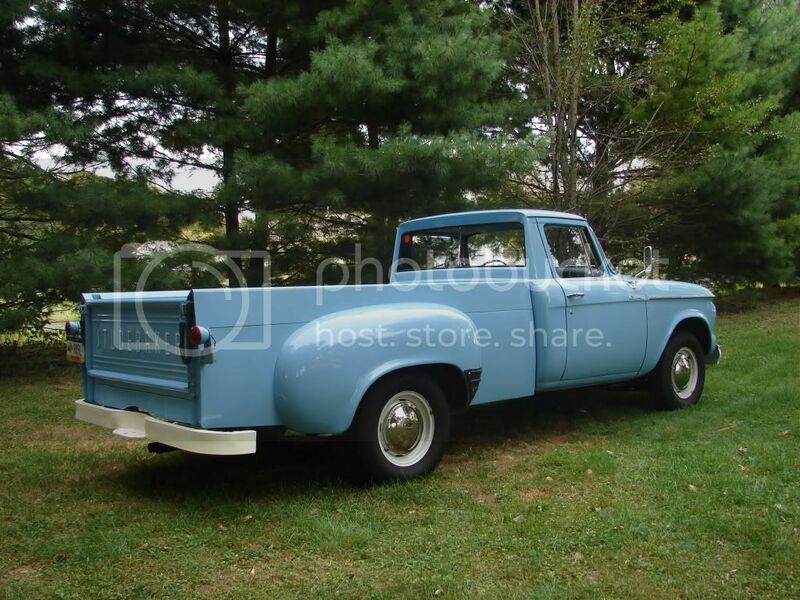 By the end of the weekend, it had become the "blue truck." Over the years, front rubber brake hoses were replaced, a new emergency brake cable was made, and it was determined that the passenger side rear leaf spring was pretty weak. Instead of replacing just the leaf springs, a donor truck on-hand had a complete set up that could be swapped. In addition, this donor was an 8E model which had the bendix brakes similar to the cars - a much better set up. So, the truck was fitted with a new rear (4.27 ratio) newer 8E brakes and newer 8E brakes were rebuilt and put on the front. 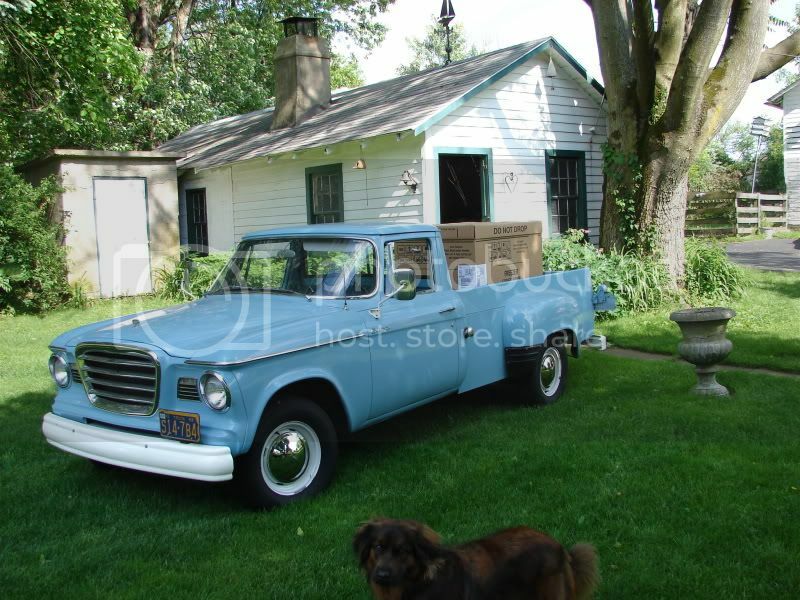 My wife and I moved to eastern Pennsylvania in 2005 and were only able to afford to rent a garage to put our original 50,000 mile 1960 Lark, the truck had to be left in Texas. In the spring of 2007 we were able to purchase a home that had an older garage so the truck could come home, in the summer of that year. The price for having it shipped or renting a U-haul were pretty high, so the decision was made to drive it the 1900 miles. It took me two 13 hour days, and the only problem encountered was an overheating overdrive solenoid that would not let the truck go into overdrive. After cooling it down by squeezing water on it, the truck was back on the road in 30 minutes. I am always looking for the opportunity to keep things as original as possible. I have bought a set of bias-ply tires so as soon as I can get them painted they will go on the truck as well. It is fun to drive and it will be kept in the family for the foreseeable future.